WEEK 10, 2012, a photo by Matt Trimnell on Flickr. Easing myself into color film. My photography mentor gave me a bag of expired film and I’m loving it! WEEK 10, 2012 – Tree, Kerr Pond, a photo by Matt Trimnell on Flickr. Another possible print for KVCC show. 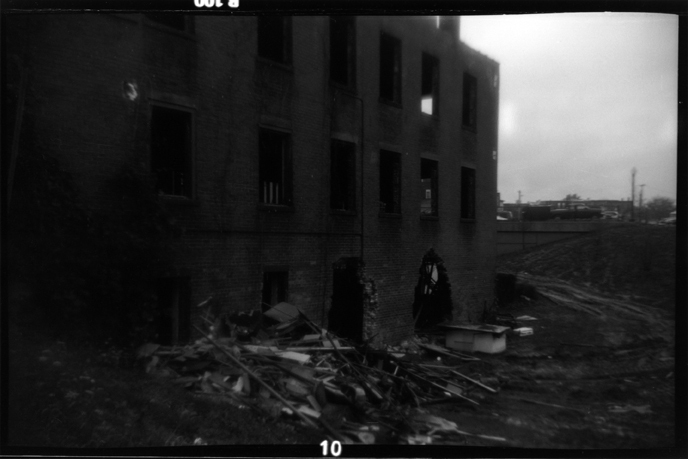 Unfortunately, the negatives from the roll I pulled this image off of are slightly underexposed and underdeveloped. Continuing to tweak the development for the Efke R100 film I use in the Baby Brownie. It really is difficult since I don’t know what the aperture or shutter speed is for this piece of equipment. But I think I got the best print I could considering the conditions thanks to my fearless leader in the photo lab. Seriously thinking about reshooting this with a better piece of equipment. Perhaps the Mamiya 7II? Leave that for my next post. Again, silver gelatin print on Ilford Muligrade IV FB Fiber, Glossy paper. 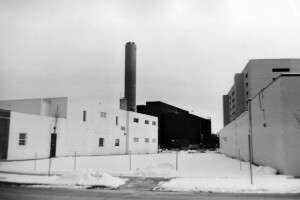 Below are a few more working prints from a couple of rolls I shot over the holiday. 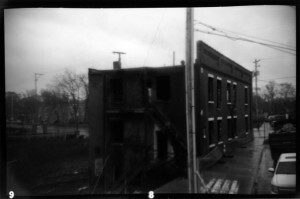 These were made with the Kodak Baby Brownie again with the Efke R100 127 film. Finally learned how to make great negatives that are very easy to print. 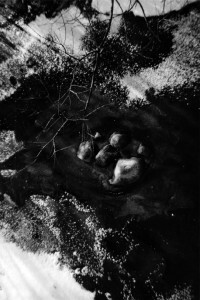 These were printed on Ilford Mulitgrade IV RC Pearl paper. Just wanted to print something quick and dirty to get an idea how the exposing and developing has progressed. 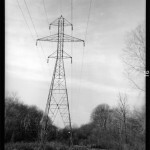 Will work on printing on fiber this weekend, thinking maybe warm tone with perhaps a bit of sepia toner. 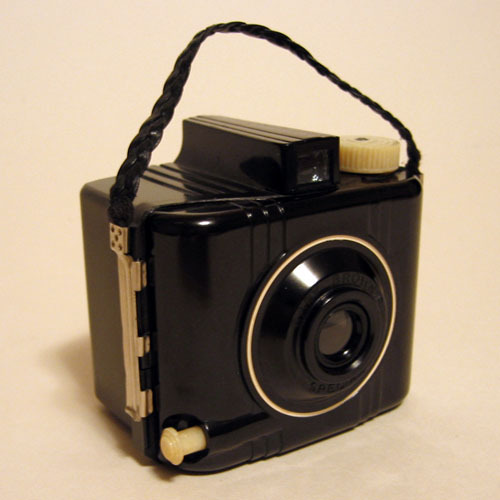 My new favorite antique camera, the Kodak Baby Brownie Special. Some time in the last year I purchased a Kodak Baby Brownie Special camera, pictured right, from the local Goodwill. It sat on my shelf with all of my other vintage cameras, not alone, but not loved. I recently located the proper sized film that it takes and have shot several test rolls. This little darling takes 127 film. The only company manufacturing it in black-and-white is Fotokemika out of Croatia called Efke. I’ve heard a rumor that a Canadian company is manufacturing it but haven’t come across it. The Efke line is cool because, as stated on the Fotokemika Web site, they “are manufactured using classic emulsions with very high silver content. This results in a large grayscale reproduction. 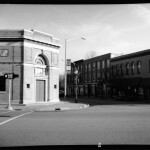 The Efke 25, 50 and 100 films are made using the ADOX formulas that were first introduced back in the late 1940s.” There are several photography companies that carry the line in America but I’ve found that B&H has the best prices and fast shipping service. Below are a few prints from my first roll. The Baby Brownie Special is a fixed focal length camera as well as having both the aperture and shutter speed fixed. This makes taking photos a real challenge. The subject has to be at least 5 feet away to be in focus and even then it seems like only the center area of the negative gets close to being sharp. I love this about the camera; using an old camera and old emulsion film produces images that look they were taken in the 1940’s or 50’s. I am still experimenting with development though. The Efke 127 film is ISO 100, so is not very sensitive to light. Any images taken that are not in full sunlight tend to be underexposed. The processing information I’ve found on the Web has been a bit spars but I have used the suggestions from the Fotokemika Web site with okay results. They suggest using Kodak D-76 to develop, a stop bath with very low pH or just water (I use water), and a fixer with a hardener as the emulsion formula used is quite soft. I have been using the Kodak Rapid Fixer with the included hardener. The cool thing is I also have found an antique developing tank with an adjustable reel that accepts 135, 127, 120 and 616. This is especially useful as I own a Kodak Brownie Target 616 camera. Fotomkemika makes Efke 616 (70mm) in bulk 100 foot rolls available through Freestyle Photographic Supplies. I adapted the Target 616 to accept 120 but it is a bit smaller and I have never been completely satisfied with how they turn out. But that is another subject I will address in a future post. 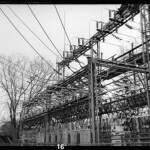 As for developing time, I found that 11 minutes at 68° works best with negatives exposed in full sunlight. I agitate 10 seconds out of every 30, which might be just a bit high. With underexposed negatives, I would suggest adding about 10% more time. After 3 rolls, I have finally produced a roll of negatives with very good density. I will post images from that roll as soon as I can get around to printing them.